One in three of the program’s participants is a woman. In many ways, Samar Modonpour serves as a prime example of those participating in the Executive MBA program offered by Aalto EE in Iran: Born in Iran and educated in Canada and the United States, Samar decided to return to her native country after graduation. Although she has a degree from a top university, up to now she hasn’t studied finance or management. Today, she runs a successful business – and is a woman, just like one in three Aalto EMBA students in Tehran. In Finland, the corresponding figure for female students taking part in EMBA programs is one in five. However, 32-year-old Samar is also rather exceptional: instead of working for an Iranian bank, construction firm or family-run company like many of her fellow students, she runs her own fashion label Samar & Friends. Sold both online and at the brand’s showroom, the label specializes in clothing designed especially for Iranian women. Pieces include manteau tunics resembling long blazers, handmade jewelry, jersey garments, shawls and scarves, and the company employs seventeen members of staff. ”I decided to take part in management studies, as finally a program was on offer in Iran at a level I grew accustomed to in Toronto and Washington DC,” explains Samar. In Tehran, Aalto EE collaborates with Iranian Business School (IBS), a not-for-profit postgraduate school founded by Iranians who have studied and worked abroad. According to the school’s co-founder and first managing director Mostafa K Eghbal, Iranian company directors do not benefit from degrees as such but from top-level teaching. Samar has acquired business skills through trial and error. In Iran, this can be a particularly slippery road, as rules and regulations are either constantly changing or non-existent. Also western sanctions and Internet censorship in Iran have an impact, especially when working in the fashion industry and running an online store. International sanctions do not apply to education or fashion, but they do influence monetary transactions, as international credit cards are not in use in Iran. ”Also the customer base is completely different compared to the West,” says Samar. But she is well acquainted with her customers and their cultural backgrounds, and has plenty of tricks up her sleeve as far as apparel is concerned. EMBA students and professors alike find that the two-year program also offers an excellent opportunity for networking. Business connections were being formed already during the first module in October. The Samar & Friends showroom is located in northern Tehran, close to the mountains that tower above the city. Casually dressed in jeans, Samar opens the door and leads us upstairs to her former apartment, where she now runs her company. Samar’s office was once her bedroom, while the kitchen now serves as a social media hub. Blazers, tunics, shawls and scarves from the latest collection hang on clothes racks in the spacious living room. A few wealthy, upper-middle class women from northern Tehran are checking themselves in the mirror, as they try on the season’s trends. Customers can help themselves to cappuccinos from the coffee machine and rest their legs on a comfy sofa where they get to browse through the pages of fashion magazines. ”Black continues to be a strong favorite among women because it makes you look thin,” says Samar, grabbing some black, floral-patterned lace that is apparently the height of fashion right now. Garments for the Samar & Friends label are sewn by four Iranian women in their homes, with fabrics usually imported from Turkey and patterns designed by Samar’s company. A fashion designer is busy adding colors to an illustration of a blazer design, while another is sitting behind a sewing machine shortening some sleeves. Samar and the designers find inspiration from around the world: the likes of Dolce & Gabbana and Versace are under constant scrutiny, as garments churned out by famous fashion houses are adapted to suit the local dress code. Walking on the streets of Tehran, one notices that only about one in five women actually sticks to the strictest dress code of wearing a dark manteaux or a chador. Young women wear colourful manteaus and pretty head scarfs. Clothing ranges from strong colors to vivid patterns, figure-hugging styles, elaborate makeup and high heels. Samar Modonpour decided to take part in the EMBA program, because”it is hard to run a business when one doesn’t have specific managerial skills,” as she exclaims. But she clearly does know a thing or two about business life, particularly in Iran. Madonpour was raised in the US and Canada. About six years ago, she had planned to spend a few months in Iran with her brother, but both decided to stay. Iran seemed appealing mainly for business reasons. Her brother established an eBay type business in Iran called Esam, and his company is now located on the floor below Samar’s showroom with his twenty-strong team. Arriving in Iran after being used to American malls, Samar felt there was nothing available in the shops that she wanted to buy. It was her brother who encouraged her to start up a clothing boutique that would match her taste. And that’s what she did. Her business idea was simple: comfortable, fashionable, aesthetically pleasing, reasonably priced clothing that would be suitable for Iranian women. ”There’s hardly any competition,” says Samar. But there’s a market; Tehran has 15 million inhabitants, and one would have to be blind not to notice that fashion is the word on everyone’s lips. Samar & Friends has 47,000 followers on Instagram and a similar following on Facebook. Considering that Facebook cannot be accessed in Iran without bypassing the state’s official filters, these figures are pretty outstanding. According to Samar, business is going well. A typical tailor-made manteau blazer has a price tag of 100-400 dollars, while scarves sell for twenty dollars and above. ”Really important,” comments Samar when asked about social media. Samar goes on to explain that both she and her brother’s firm Esam are pioneers in setting up online shopping in Iran. Especially young people in Tehran are constantly online, holding on to their smartphones at cafés, on the bus and on the streets, with wifi connections readily available. 64 per cent of Iranians constitute under 35-year-olds and most of the population has access to the Internet, therefore creating a wonderful business opportunity. Aalto EE is the first globally accredited Executive MBA program in Tehran. Before its launch, graduates wanting to take part in MBA studies were forced to relocate to Britain or the United States which was a difficult prospect especially for women, who are traditionally expected to take care of their families and children in Iran. A number of women who have just finished their maternity leave have joined the EMBA program, claiming that corresponding studies in some other country wouldn’t have been possible in their situation. Women taking part in the EMBA program work in banking, as HR managers, in the clothing industry and in commerce, and face a similar dilemma as men: In Iran, education as such is of a high level and generally valued, but this doesn’t apply to management and commercial thinking. Aalto EMBA contributes to bridging this gap. According to Harri Kämäräinen, Finnish Ambassador to Iran, educational cooperation is the best way to improve the status of women. Samar Modonpour’s showroom in Tehran only employs women. 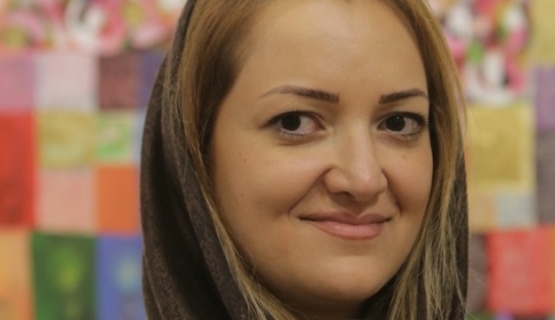 ”I naturally want to provide work for Iranian women, ” says the company founder and CEO, whose stay in Iran that was initially planned to last six months is now stretching to as many as six years.